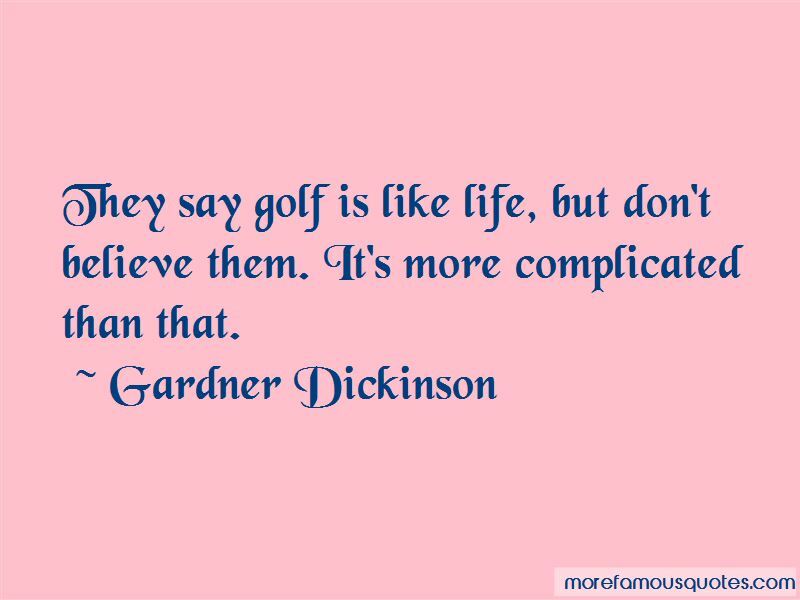 Enjoy the top 3 famous quotes, sayings and quotations by Gardner Dickinson. 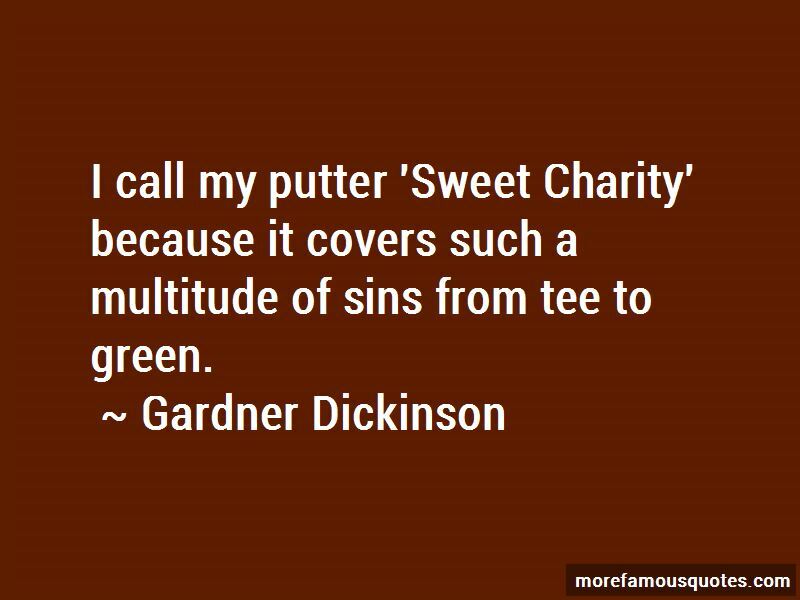 I call my putter 'Sweet Charity' because it covers such a multitude of sins from tee to green. 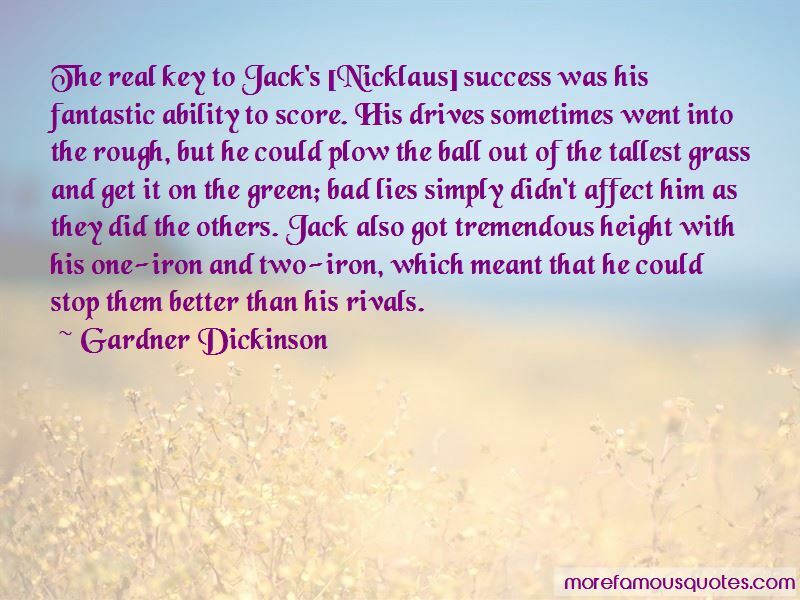 The real key to Jack's [Nicklaus] success was his fantastic ability to score. His drives sometimes went into the rough, but he could plow the ball out of the tallest grass and get it on the green; bad lies simply didn't affect him as they did the others. Jack also got tremendous height with his one-iron and two-iron, which meant that he could stop them better than his rivals. Want to see more pictures of Gardner Dickinson quotes? Click on image of Gardner Dickinson quotes to view full size.